Freddie recently started Cylch (pre-school/nursery), and it's such a big milestone and such a huge step for him and myself. If you have followed my blog for a while, you will know that he is our last baby. Each morning when I drop him off at pre-school, I feel some sadness in me that my baby boy is growing up. He's never going to be newborn again, I'm never going to have those baby cuddles again, but saying that he is still a cuddly boy and loves his morning and daytime cuddles. But we're never going to go through those 'firsts' anymore, such as first steps, sitting up for the first time, and now, the first day of pre-school. Time surely is flying by, and I'm all for 'living in the moment', but I do like to keep things aside from special days or special moments for me to look back on. I always think into the future sometimes and hope that one day my kids will sit down with me and look through their memory boxes. 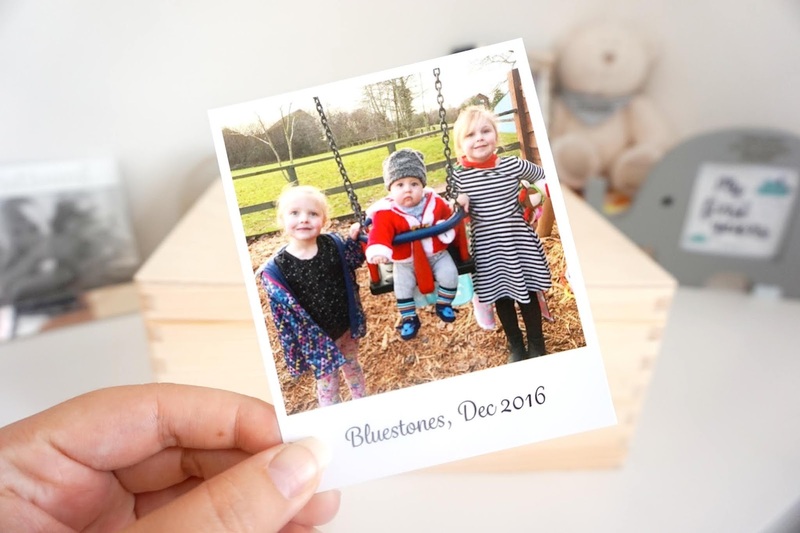 I was kindly sent the most beautiful memory box from BespokeandOak. 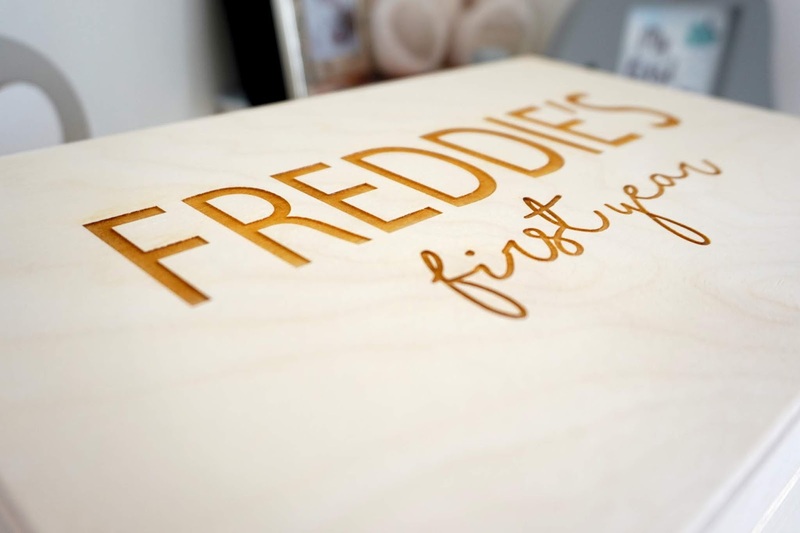 It's the perfect memory box to store all of Freddie's memories in from his first hospital band when he was newborn, to the first pre-school picture that he painted. 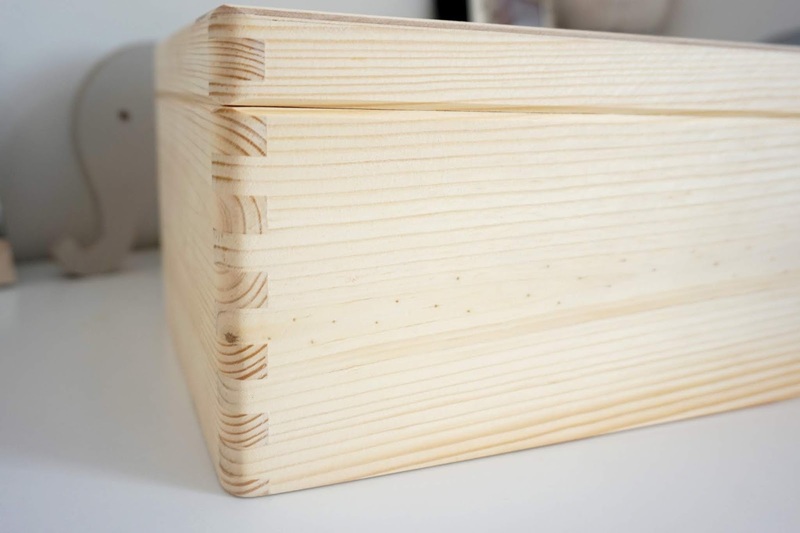 The box is made out of high-quality pine wood, and it's also personalised which makes it extra special. In his box is a mix of things I have kept aside. Things I will look back at and remember the reason behind each one. I've kept hold of his first pictures, the bands he wore in the hospital when he was born, one of the first socks I bought him, first little brother top and even my favourite sleepsuit that I loved him wearing. Writing this makes me a little sad because I know we can never turn back time, but we are going to be making even more special memories, and I will be filling the box up even more. 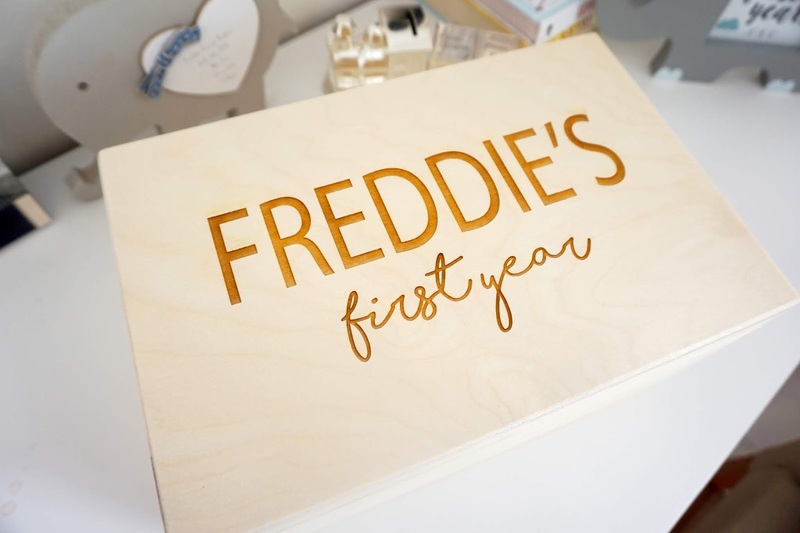 This beautiful memory box is the perfect gift for any christenings, special occasions, newborn gift or if you want to buy it yourself to keep your baby's special memories and special things there. 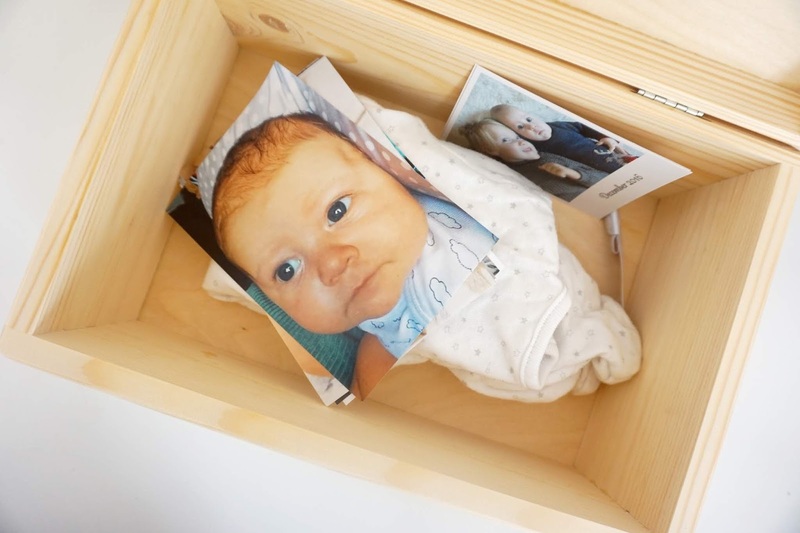 At a reasonable price and quick delivery, I would definitely recommend this memory box.